The cultures of the Pacific Islands are highlighted in the Tuzin Archive for Melanesian Anthropology. Since its founding as the Melanesian Archive in 1982, through the efforts of UC San Diego anthropology professors, Donald F. Tuzin (1945-2007) and Fitz John Porter Poole (1941-2002), the Archive has evolved into a major repository for research materials created by anthropologists and other scholars working in Melanesia. In 2012, the Melanesian Archive was renamed the Tuzin Archive for Melanesian Anthropology. Early support for the Archive was provided under the Title II-C program of the U.S. Department of Education, with additional funding from the Wenner-Gren Foundation. 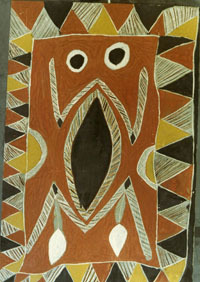 The Tuzin Archive is comprised of unique unpublished materials, primarily donated by individual anthropologists, documenting research on the peoples of the southwest Pacific Islands. Roy Rappaport, Roger Keesing, Paula Brown Glick, Jane Goodale, A.L. Epstein, Anthony Forge, and John Layard are just a few of the scholars whose collections are in Archive. Formats include manuscript and typescript fieldnotes, diaries, correspondence, photographs, photo albums, slides, sound recordings, film and video, maps and more. Anthropological research in Papua New Guinea (particularly the Highlands region) and Solomon Islands (particularly Malaita) is especially well-represented, although materials on other areas of Melanesia such as Vanuatu, New Caledonia, Papua (Indonesia), and Fiji are also present. The UC San Diego Library is continuing to digitize selected images and other media from the Tuzin Archive ; currently over 10,000 objects may be viewed through the Digital Collections website. Related content on the Pacific Islands is found in other parts of the UC San Diego Special Collections &Archives. Highlights include as the Hill Collection of Pacific Voyages, and many materials in the Scripps Institution of Oceanography Archives, as well as smaller collections such as the Samoan materials collected by anthropologist Derek Freeman or the Tonga and Fiji expeditions documented by geologist J. Edward Hoffmeister. Bibliographic access to these materials is provided through ROGER WEB and MELVYL, the UC San Diego Library and UC-wide online catalogs. For more information about Melanesian material, please see the Guide to archival and library resources for Melanesian and Pacific Island Studies at UC San Diego.